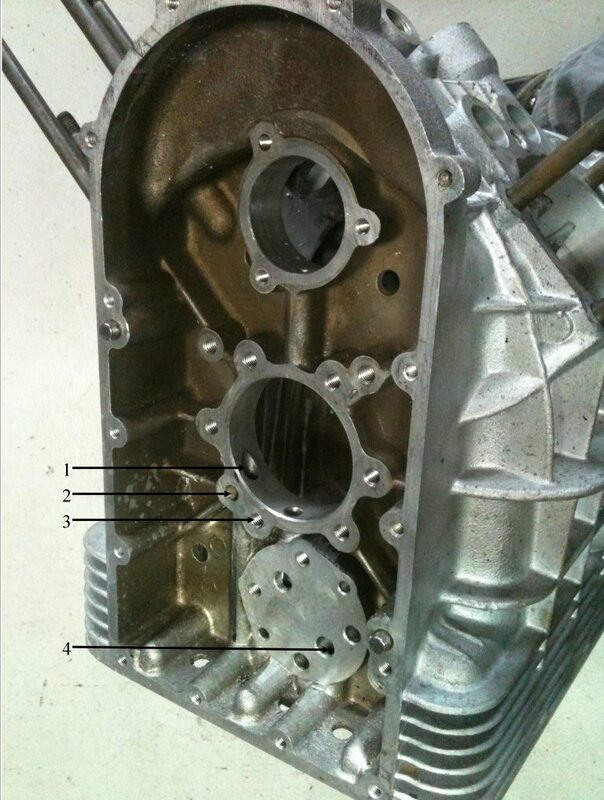 This modification can only be done on engine cases that have the additional horizontal webbing. This includes all Eldorado models and a very few late Ambassador models (of which mine is one). I could not locate an aluminum bolt to plug the existing threaded hole. Instead, I threaded a short length of 8 mm aluminum rod I had on hand. Takes very little time, works great and is a lot easier to find than aluminum fasteners. Guzziology mentions using 55 mm long allen head bolts. This is important. Hex head bolts will not fit within the fins on the underneath of the pan. The allen head bolts work perfect. 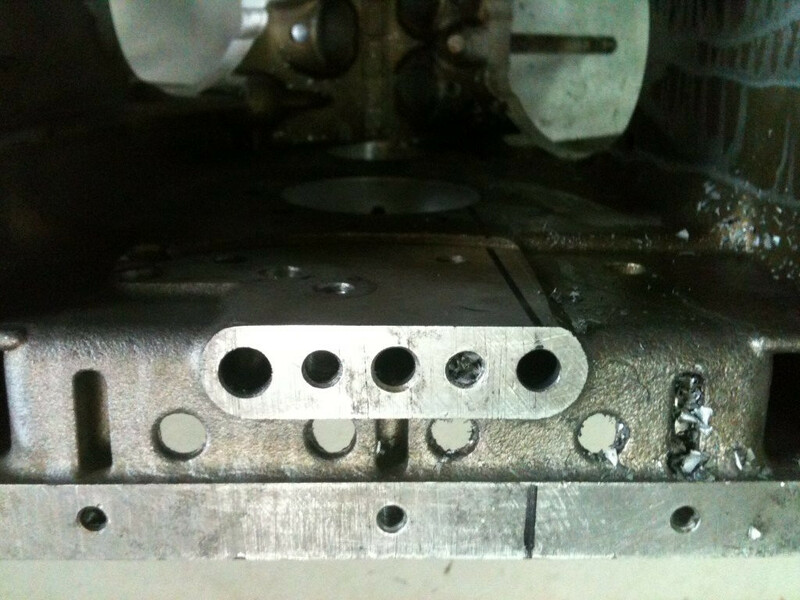 (B) Drill 8 mm (5⁄16 inch) hole through existing boss at bottom of case. 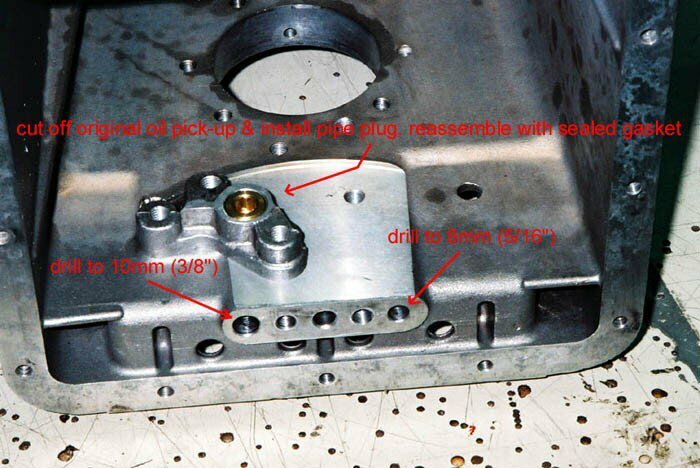 (D) Drill 10 mm (3⁄8 inch) hole through existing boss at bottom of case. (E) Using new filter-style main bearing housing as a guide, drill & tap 8 mm relocated mount hole. Photo courtesy of George Dockray. I am rebuilding my 74 Police Eldorado. 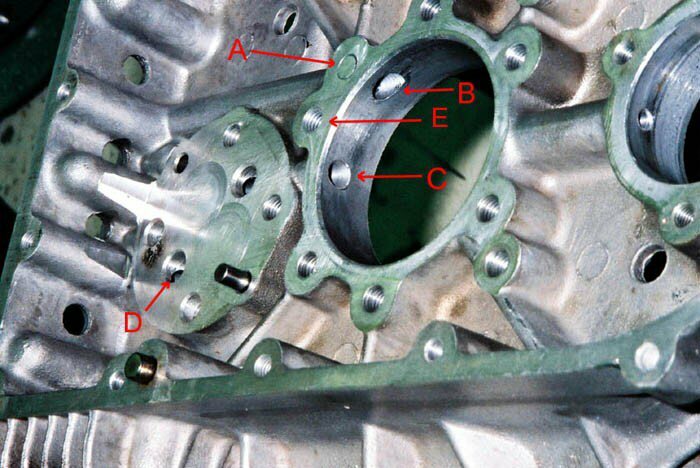 The chrome bores had worn through and been circulated through the engine. Mains had bits of chrome embedded in them and journals scored (but not too badly) I decided to go 1st undersize on mains and big ends and use a later sump with oil filter. 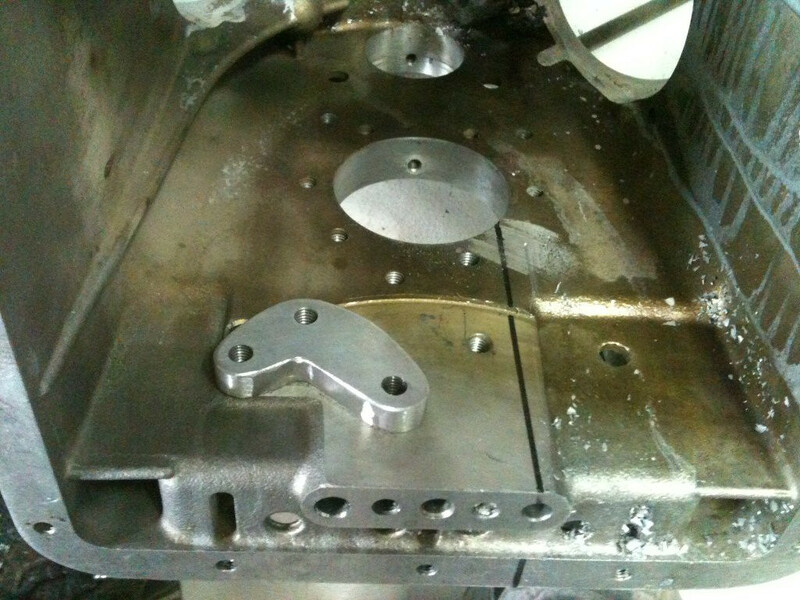 The only modification I had concern about was drilling the new 8 mm oil gallery to the later style front main bearing. 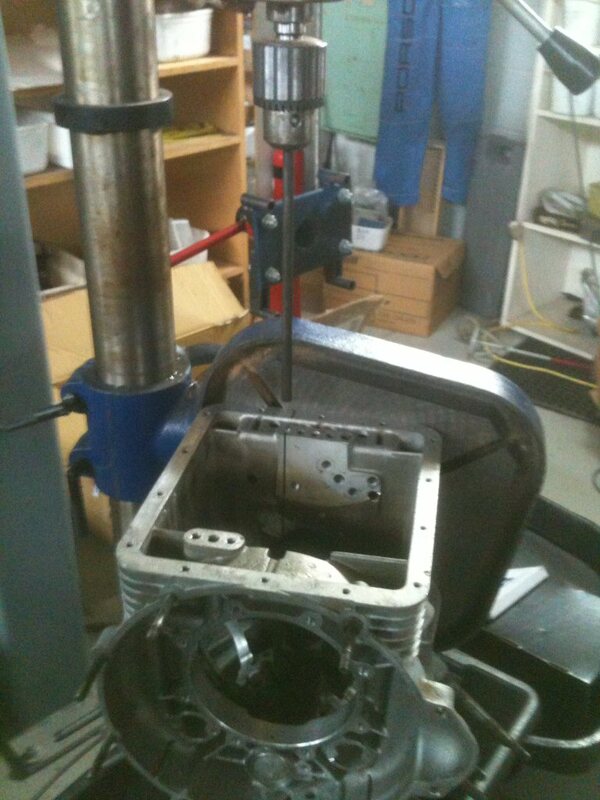 I was able to do it myself on a good drill press and some set-up time.